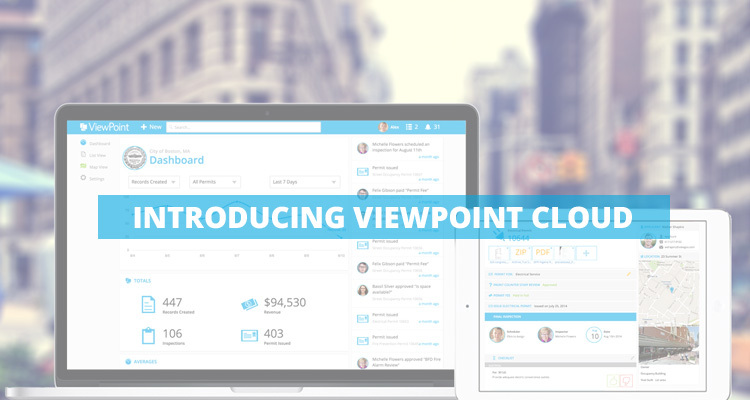 With ViewPoint Cloud, citizens and local business owners can fill out interactive online forms, track their status through the application process, and see a citywide performance dashboard, all from any web browser. The intuitive interface lets applicants check the status of their project in real time, eliminating phone calls to city hall. All project approvals, inspections, and payments are tracked in a single digital record that replaces stacks of paper files. Applicants can see exactly who in city hall is responsible at each step of their application, turning opaque decisions into friendly human conversations. ViewPoint Cloud’s simple setup tools let towns and cities convert their existing paper-based workflows themselves, saving thousands of tax dollars typically spent on software configuration. ViewPoint Cloud comes as Boston Mayor Martin Walsh has declared simplifying the permitting process to be a priority initiative of his office. The open data dashboard in ViewPoint Cloud brings citizens out of the dark on government operations: see how much revenue was collected from construction projects in the past month, show neighborhood complaints on a map, or see the average time it takes to approve a zoning appeal. Easily find information on any address or public record in the city using the global search bar. As more cities use ViewPoint Cloud, the dashboard will also show how one city’s performance compares to the national average. ViewPoint Cloud is built on the new Ember framework for web applications, providing the rich experience of a desktop application in a web browser, and increasing accessibility for persons with disabilities. Backed by the Microsoft Azure cloud platform, ViewPoint Cloud offers industry-leading data security and reliability.